With over 1.3 billion travelers on the move, the world experienced the highest growth in international tourist arrivals since 2010. Much of the rebound was spurred by gradual economic growth plus a strong demand for outbound travel from all markets across the world. 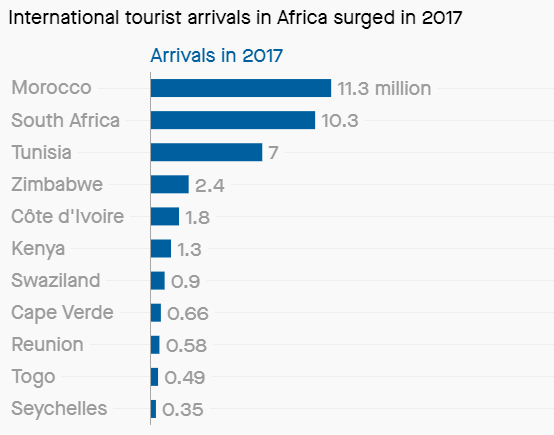 And as data from the World Tourism Organization now shows, African countries saw the highest growth average compared to any other region in the world. International tourist arrivals in the continent are estimated to have increased by 8.6% compared with a global average of 7%. That translated to almost 63 million visitors who brought in $37 billion to the continent in 2017. 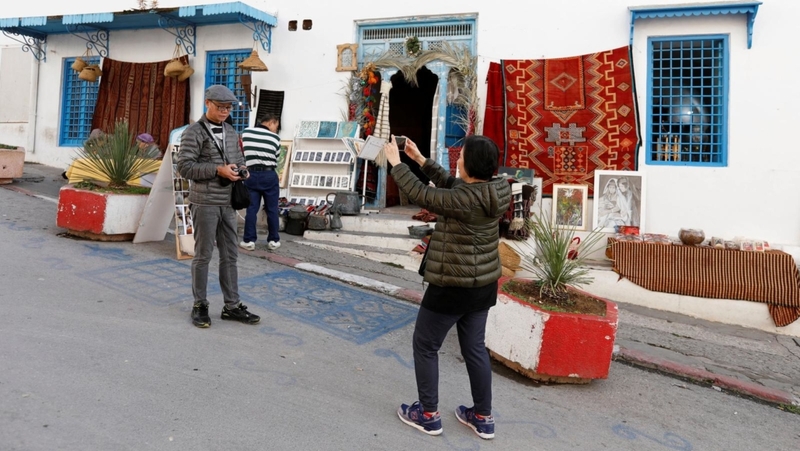 Visitors were especially drawn to North African countries where European holidaymakers are gradually returning after terrorist attacks took a heavy toll on the tourism sector. This was especially true of Tunisia, which experienced a 23% growth to attract more than 7 million tourists, while Morocco attracted 1 million more visitors in 2017 compared with 2016. In sub-Saharan Africa, South Africa led with over 10 million arrivals along with Zimbabwe (2.4 million) and Côte d’Ivoire (1.5 million). Arrivals in Kenya also jumped: visitors to the east African nation grew to over 2 million in 2018 from 1.4 million in 2017, according to recent government statistics. WTO noted that island destinations like Seychelles and Cape Verde both reported double-digit growth in arrivals because of increased air connectivity. 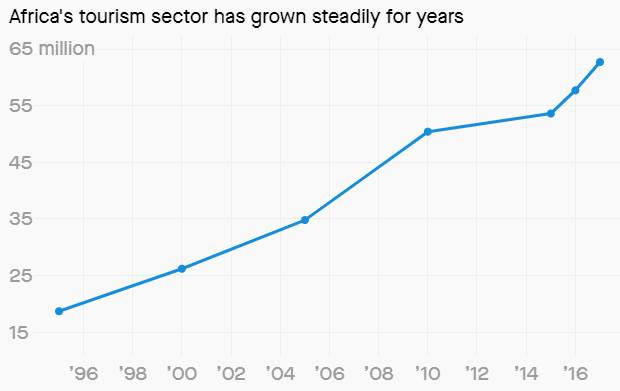 The growth in tourism to Africa comes at a pivotal time when the continent is taking major steps to improve travel and connectivity. Last year, the African Union launched a single air market initiative and urged more countries to ease visa regulations to improve cross-border travel. Noticing the growing Chinese tourists to the continent, companies and governments are also scrapping visa restrictions and launching products to boost visitors. Global hotel chains are also taking note, building more quality hotels targeting both business travelers and vacationers. And for tourists interested in going the offbeat route, Airbnb and curated city guides are offering diverse alternatives. 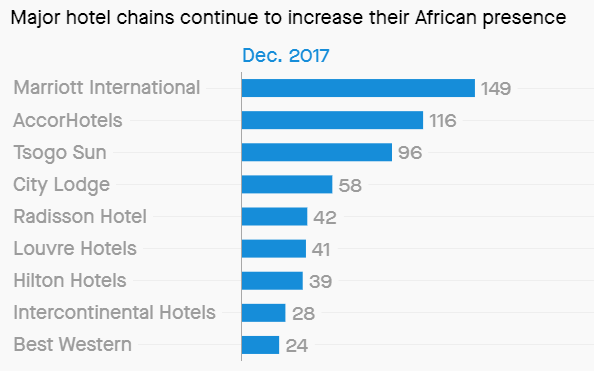 Yet, despite this progress Africa’s tourism industry still has a way to go to match much bigger tourism markets like Europe. African countries received only 5% of the global share of travelers in 2017 and only racked up 3% of the total tourism receipts.